Seems like every morning here is a foggy one. It was late morning before we finally decided to go out. 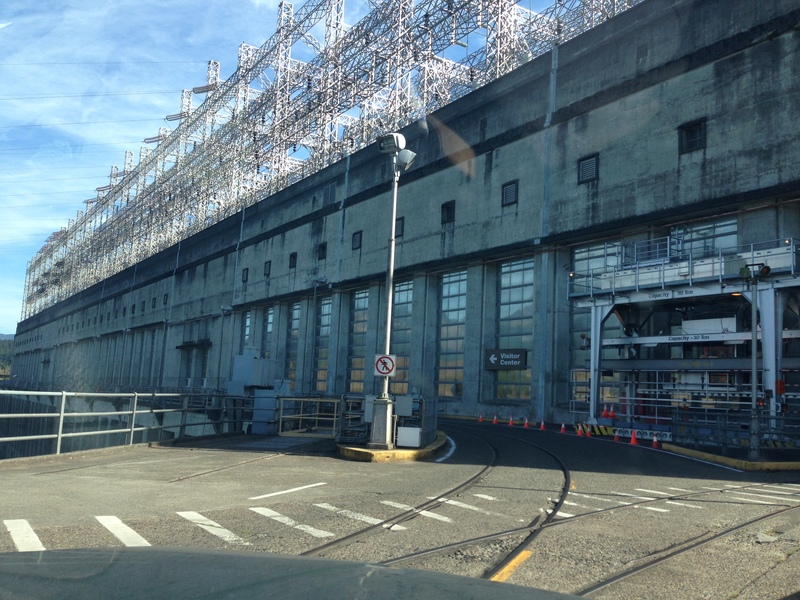 Yesterday our cruise ship went through the lock at Bonneville Dam so now today we went to see that dam. Built in the 1930’s this National Historic Landmark was the first lock and dam on the Columbia and Snake rivers and provides hydroelectric power to the Pacific Northwest. A second powerhouse was built and began producing additional hydroelectric power in 1981. The dam is run by the U.S. Army Corps of Engineers. The visitor center has lots of great exhibits and videos about the history and function of the whole thing. 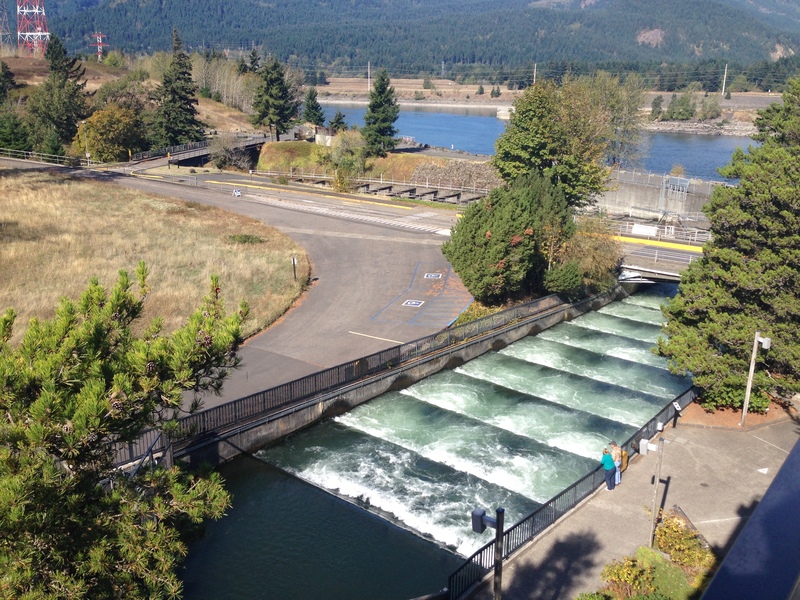 Multiple fish ladders allow the salmon and other fishes to swim upstream. They are ushered through canals where they are counted. 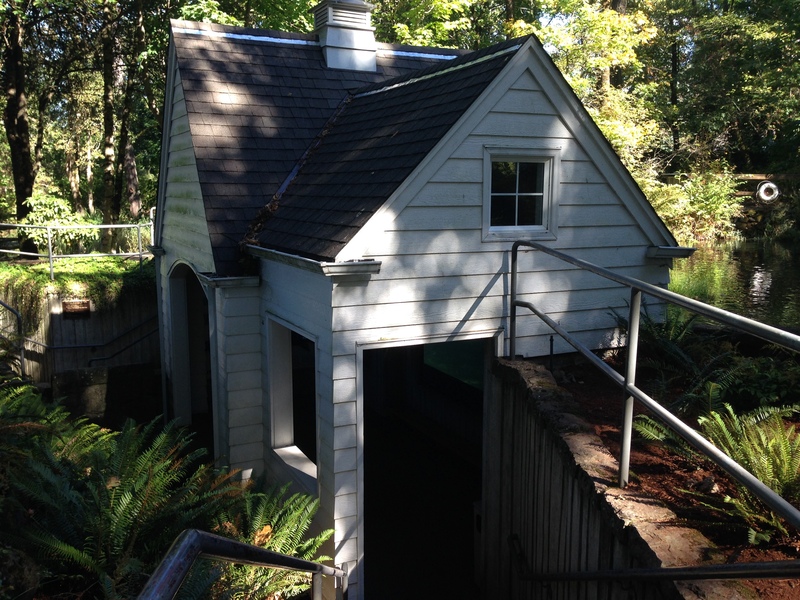 There are viewing windows in the visitor center where you can see the fish as they move from the fish ladder to the counting area. That was interesting enough, but then we went next door to the Bonneville Fish Hatchery. 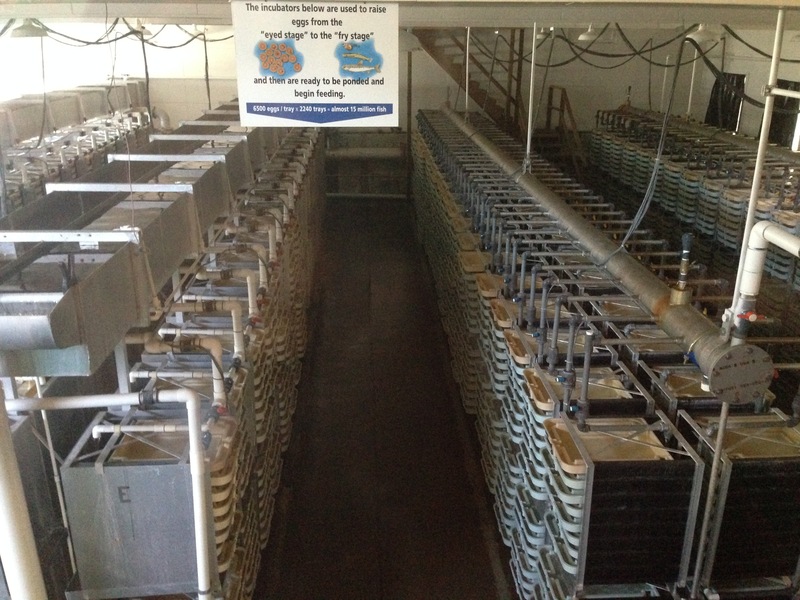 Operated by the Oregon Department of Fish and Wildlife, it raises salmon and steelhead. 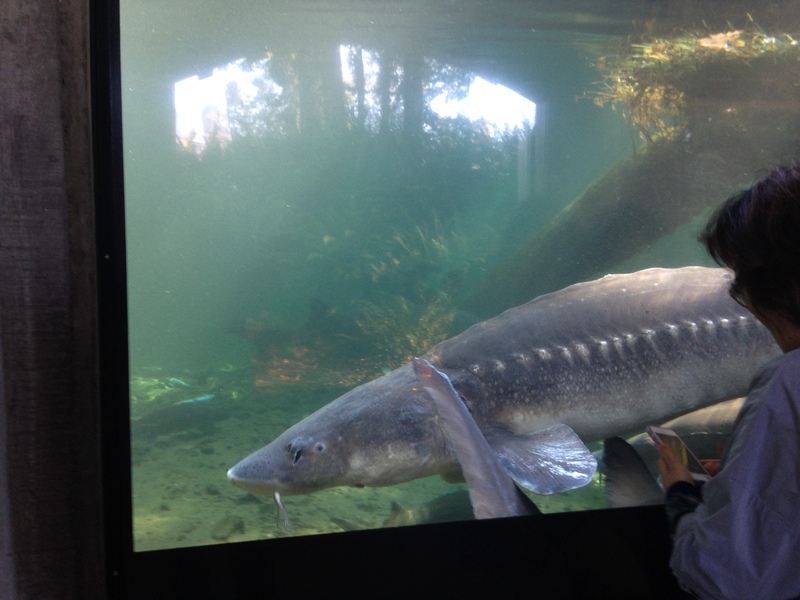 One of the most interesting things at this hatchery is the Sturgeon Viewing Center where you can see “Herman the Sturgeon” along with some other sturgeon and trout. Herman is over 10 feet long, weighs over 450 pounds, and is over 70 years old. The grounds are covered with large ponds for the growing fishes. 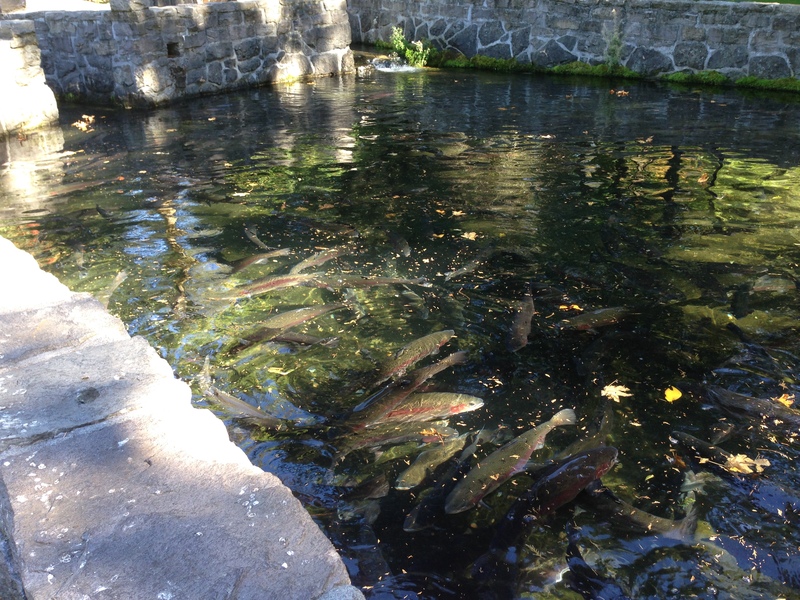 There are a few older ponds with trout and with sturgeon in them. This entry was posted in Daily Post, October, Oregon and tagged Bonneville Dam, Fish Hatchery, Herman the Sturgeon. Bookmark the permalink.